A Deluxe Woodburning kit can help you explore the world of pyrography — the art of decorating wood by burning a design on it with a heated metallic pen. Well, you just never know what’s going to come out of the woodwork! And in this context... that’s a good thing. If you missed last week’s column (and if you did, SHAME on you), I wrote about my plans for having my old, dead oak tree turned into a chainsaw sculpture. It’ll happen. Got some really interesting feedback in response — ideas for possible sculpture choices and other cool suggestions as well. If you do have a tree you’re planning on taking down soon (dead or alive), and the chainsaw sculpture thing just doesn’t quite cut it for you, you might want to repurpose that old tree in some other creative way. I couldn’t resist contacting you after reading your Transforming Oak article in the Free Press! About four years ago, I became interested in repurposing oak and various woods into lasting treasures through pyrography. I’ve included a few shots of my efforts. I hope you find the right transformation for your mighty oak. I plan to take a chainsaw artist course in the not too distant future! Thanks for sharing this with us, Lori. Hmmmm. What the heck is pyrography? According to Oxford, it’s the art or technique of decorating wood or leather by burning a design on the surface with a heated metallic point. Oh! Woodburning! That was a craze for a while when I was a kid. I even had a kit, and still have the woodburning pen. 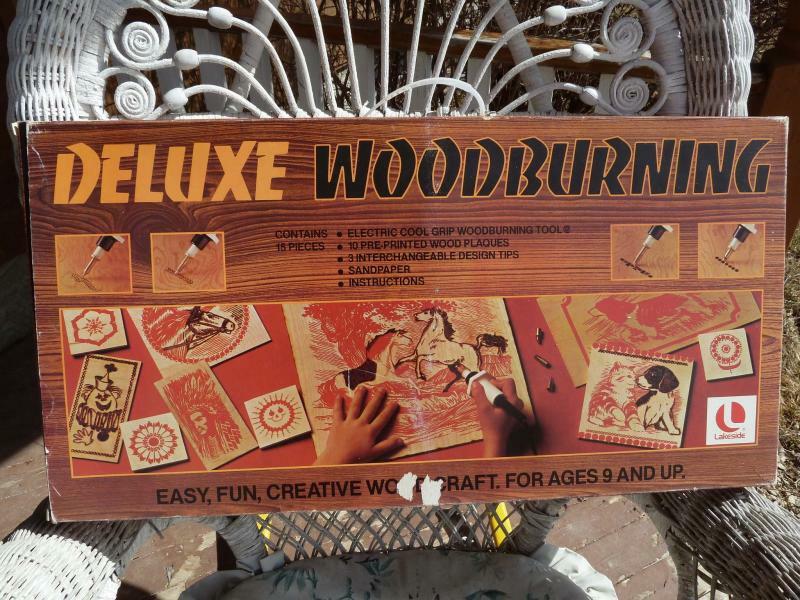 I also have another vintage Deluxe Woodburning kit that I snagged at a garage sale (I think), last summer for the grandkids to use while visiting. I guess it might be a good idea to actually show it to them. I wonder how many people still have one of these old kits tucked away in a cupboard or closet somewhere? If you do, and you don’t want it, email me, and I’ll come get it. I’ll find good homes for them. Call me a cultural anthropologist. And if you have an old car in your garage you don’t want, I’ll come get that too. And if you have... never mind. 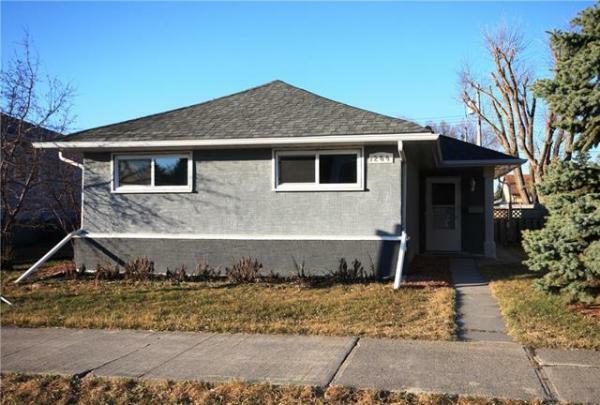 It does drive me a little nuts when I get to thinking about what people have tucked away in their homes and garages etc., stuff that they no longer use, but thankfully won’t throw away. Does that mean that cool historical "stuff" is safe? No. So often, once those "protectors" pass away, and slide over into the land of "No Things Allowed," their kids, relatives, friends chuck that treasure in a New York second. The cruel demon Dr. Land Phil makes it all disappear. I don’t like that guy. The meek shall inherit the Earth. Us pickers get everything else. I am a longtime reader of yours and I enjoyed today’s column. Attached is a pic of a nine-foot elm tree stump carved into a Grim Reaper by my friend Jim Baxter. At night the eyes light up. Keep up the good work. Thanks Frank. May not have room to include the picture, but I think our imagination can pretty much take us there. Nothing warms the heart more than a Grim Reaper statue watching out over the neighbourhood. A great reminder that we never know how long we may have to haul things home, so do it every chance we get. Amen Jim... amen.